Beauséjour, Dieppe – Announcing a price drop on 418 Grande-Vallée, a 4,051 sq. ft., 4 bath, 4 bdrm 2 story. Now $484,500 CAD. REDUCED! Often, moisture at the bottom of the windows is simply caused by too much humidity in your indoor air. If that’s the case, simply adjust your humidifier. If the moisture is on the exterior of the window, typically there’s also no problem with the window itself. It may have rained recently or the outside humidity may have spiked causing the accumulation. Generally, there’s no reason for concern. Posted on October 21, 2016 October 7, 2016 Categories Real Estate, Real Estate Tips, ResidentialLeave a comment on Should You Worry About Moisture on Windows? Cocagne, Cocagne – Announcing a price drop on 1218 Route 535, a 1,504 sq. ft., 2 bath, 3 bdrm 1 1/2 story. Now $204,900 CAD. NEW PRICE!!! • 2,200 sq. ft., 2 bath, 5 bdrm ranch “2 Level Raised Ranch” – $224,900 CAD. Shediac – BEAUTIFUL 5 BEDROOM HOME PRICED TO SELL AND MOVE-IN READY! 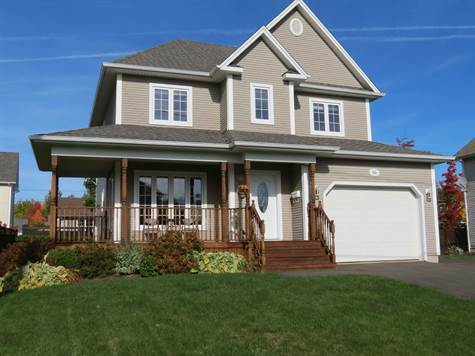 This home is located on a quiet crescent in Shediac. 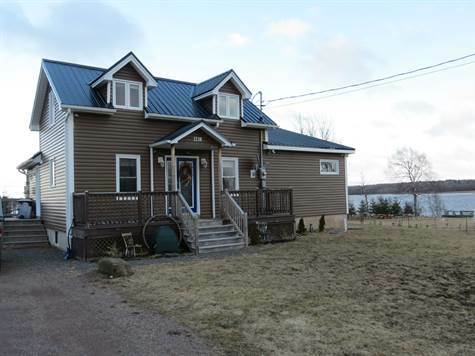 It is minutes from amenities, highway and beautiful Shediac Bay. The home features a beautiful off-white kitchen with appliances (new stove), dining area and large living room. The rest of the main floor consists of 2 good size bedrooms, the main bathroom and the master bedroom. The lower level features a 3pc bathroom combined with laundry, a large family room and bedrooms 4 and 5. There is also an attached 1.5 garage. This home has received a lot of upgrades: The house has just been painted throughout in current trending color scheme, all hardwood floors have been refinished, new ceramic in kitchen, brand new stove, new laminate flooring throughout the lower level and new just paved double driveway. This beautiful home is ready to accommodate its new owners immediately. Heating: baseboard electric. Flooring: hardwood, ceramic and laminate. Beautiful, clean and ready for you! Quick closing available! Taxes reflect non-owner occupancy. They will be approximately half for new owners occupying as primary residence. Book your visit with your REALTOR® today! • 2,466 sq. ft., 3 bath, 3 bdrm 2 story – $275,000 CAD. Roxborough Park, North End – GREAT CURB APPEAL AND PRIDE OF OWNERSHIP EVIDENT IN THIS GORGEOUS FAMILY HOME IN ROXBOROUGH PARK! This home is located in the growing North end of Moncton with lots of amenities nearby, shopping and the TCH. In addition to its outside charm, a veranda hugs the front and side of the home allowing you to sit and relax outside while enjoying the great family neighborhood. The main floor features a large and bright living room, an open concept kitchen with quality cabinets in a medium brown color. There are plenty of cupboards for storage and a peninsula with extra seating. The dining area is spacious allowing for a large table. The laundry + half bath are also on the main floor. The 2nd floor offers a large master bedroom with abundant natural light, walk-in closet and Ensuite with double vanity, corner jacuzzi tub and stand-up shower. Two large bedrooms and the main bathroom complete this floor. The basement is completely finished and offers a large family room, office + hobby room. There is also an attached 1.5 garage. Heating is baseboard electric. Flooring: hardwood, ceramic and high-end laminate. The backyard is a good size and there is a large baby barn and spacious patio. The paved driveway is extra wide and runs along the side of the house to accommodate car or RV. This home is move-in ready, there is absolutely nothing to do! It is sure to be a great home for the incoming family! Call your REALTOR® for your personal tour! Finally, be as flexible as you can be when scheduling viewings and open houses. Don’t forget that other listed properties in your neighborhood draw in buyers, who may notice your home. It’s not uncommon for a buyer to view a property and then scout the neighborhood. So, you want buyers to be able to see your home on short notice and at a convenient time for them. If there are several other nearby properties for sale, it means things are hot from a real estate point of view. You want to roll out the red carpet to buyers. Dieppe – Announcing a price drop on 361 Grande-Vallée, a 4,013 sq. ft., 3 bath, 5 bdrm single story. Now $324,900 CAD.